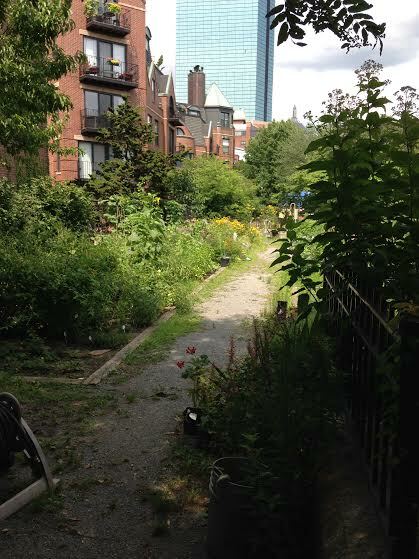 Walking through Boston’s Southwest Corridor Park it is hard not to think that this is a Commons. 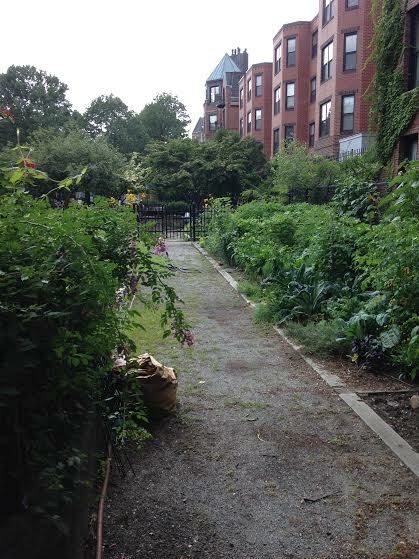 A park by definition is a common space where anyone can go but this park, and the Community Gardens within it, feels different. It is not just a patch of green in an otherwise concrete gray landscape; it is a sanctuary, a peaceful place where children, families and dogs can play, grow and interact safely. Being able to see cucumbers and tomatoes growing alongside an off-leash dog park and a playground with flowers and plants lining a sidewalk is certainly not the norm. Especially when the whole area is sandwiched between brownstones and built atop the MBTA Orange Line, it feels hidden from the rest of the city. The combination makes for a special place that is shared and protected by everyone in the neighborhood. The Commons have historically been a place that is managed by the people for the good of the people. In both the past and the present the Commons works best when people are able to bond over their shared resources. “They come to depend on each other and love this forest or that lake or that patch of farmland. The relationships between people and their resources matter” (Bollier, 12). In sharing something with others not only are bonds and memories formed regarding the place, in this case the Southwest Corridor Park, but with those who are also enjoying the space. When people love something they want to defend it. By building relationships within the common place of the park and seeing the enjoyment that others are receiving as well people want to defend the park as a place of refuge from the city. 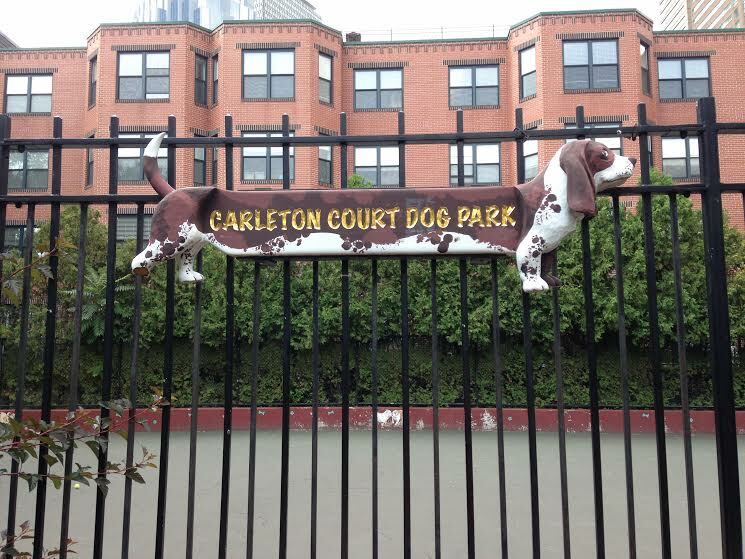 Dogs make friends, babies make friends, and parents make friends and gardeners make friends all while enjoying this tiny strip of land just steps from the Prudential Center. In wanting to preserve this Commons, where a myriad of activities take place, the community created the Southwest Corridor Park Conservancy in 2004. 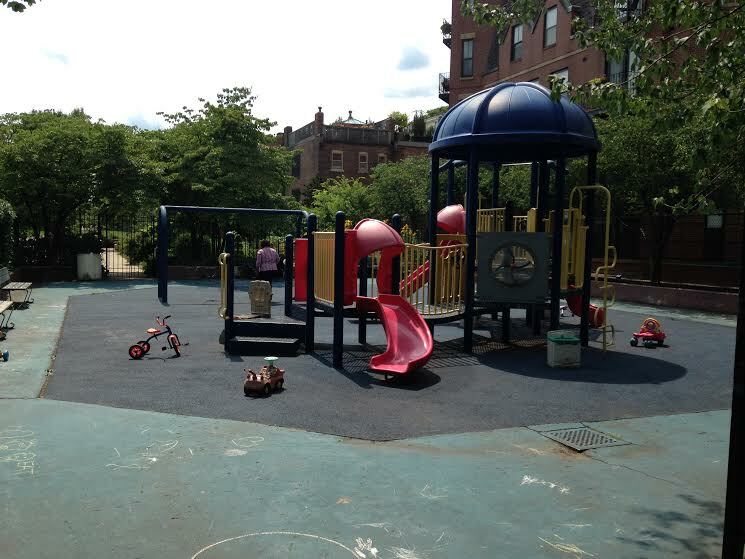 Nearly 15 years after the park was first opened (Southwest Corridor Park Conservancy, (n.d)). By creating the Conservancy the community took a stand in backing its park for years to come and at the same time gave it power and authority to maintain the park for the betterment of all who visit. This is what a Commons needs to survive, people who enjoy and utilize the area to its full potential and a group made up of local people to govern and maintain the area. Bollier, David. Think Like a Commoner: A Short Introduction to the Life of the Commons: New Society Publishers, 2014. Conservancy, Southwest Corridor Park, “About the Conservancy” http://www.swcpc.org/about.htm (accessed July 29, 2014 2014).